As your cat ages, you may begin to notice behavioral changes. Similar to people, senior cats can develop dementia, called cognitive dysfunction syndrome. It is not uncommon for cats to begin showing signs of decreased cognitive function in their later years. Many cats tend to exhibit particular signs, though they will be a little different for every cat. 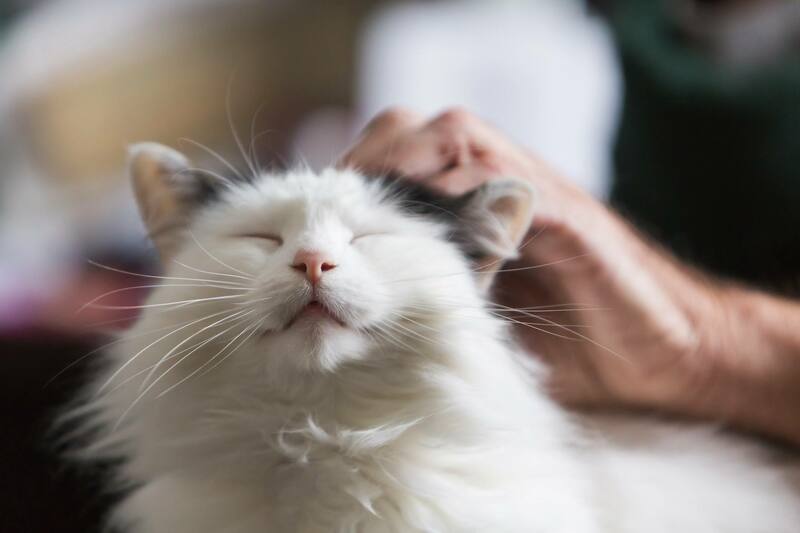 You know your cat best and will likely notice changes in his behavior due to memory loss, disorientation, or other things that can lead to confusion. The most important thing is to not discount behavioral changes as nothing more than old age. Many of these behaviors are also signs of illness and medical issues. It is best to schedule a vet visit to rule out those possibilities. Every cat has a certain level of talkativeness. Some are always quiet and purring while others meow about everything. The change seen with senior dementia is one of increased or excessive vocalizations and not just a simple meow. Cats experiencing this may appear to be confused and not totally sure of their surroundings while vocalizing. This behavior is more common at night. It is important to remember other possible causes of new or odd vocalizations. These include pain due to arthritis or injury or, in some cases, changes related to hyperthyroidism. If your cat does not have any of these underlying medical conditions, it may be a sign of the onset of dementia. The confusion that comes along with senior dementia may lead some cats to forget their years of proper litter box behavior. Cats are fastidious, especially about their toilet manners, so a cat going outside the box all of a sudden is a cause for concern. Inappropriate urination or defecation can be symptoms of many diseases. Schedule an appointment with the vet so an infection or impaction (constipation) can be ruled out before doing anything else. Cats prefer to keep themselves clean. If your feline friend begins to neglect this essential task, it's a sign that something's not quite right. Like most changes in behavior, a lack of grooming may be a sign of many illnesses, in addition to simply not feeling well. It's common for senile cats to no longer care about keeping their coat in good condition. If your cat is overweight, that may contribute to the problem as well because it may be too difficult to reach everywhere. Cats are naturally nocturnal, as many of us find out with the occasional 2 a.m. wake up meows. Yet, you might notice that your cat begins to appear more anxious at night in its later years. It's not uncommon for senile cats to become disoriented when everyone else goes to bed. This can lead to separation anxiety. In some cases, the cat might even confuse day and night, spending days sleeping peacefully and the night hours stressed out or vocalizing. If your cat is sleeping longer than normal, this change may be due to cognitive decline. For instance, it may not wake up for his scheduled dinner time or fail to greet you at the door after work. You may begin to notice that your cat doesn't respond as you have come to expect. Not seeming to recognize family members (or other pets) or becoming stressed under "normal" conditions may indicate senior dementia as well. This type of behavior may also be the result of a painful condition or ailment, so rule out arthritis, injury, or other potential causes. Cats suffering from senile dementia may forget to eat. Like the litter box, this is another sign that you should see the vet about because it can be linked to a serious health issue. Additionally, cats that go without food for too long are susceptible to hepatic lipidosis.